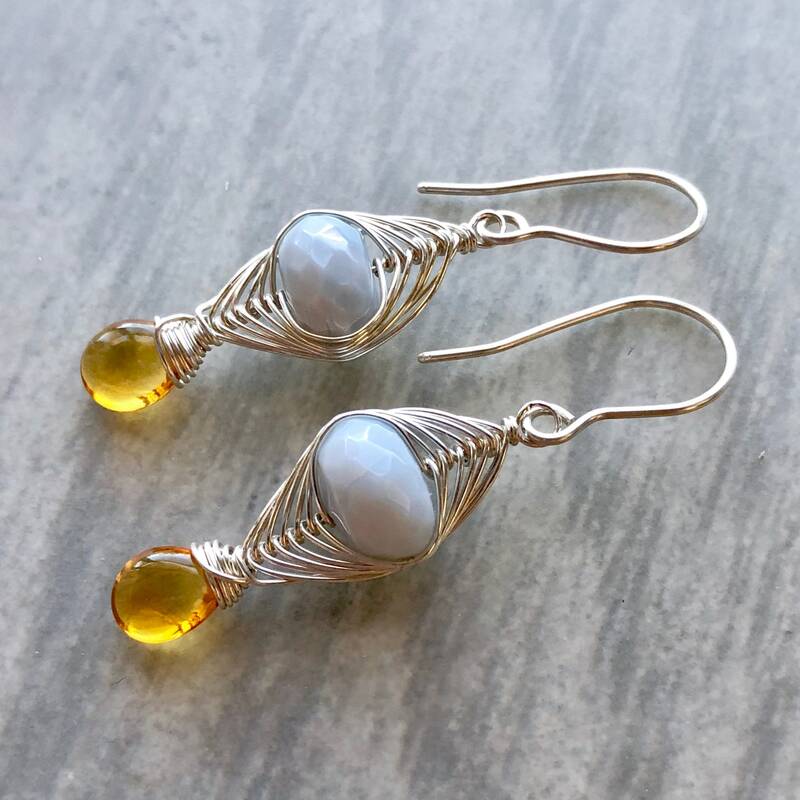 Pale baby blue Peruvian opals and rich, saturated citrine are wrapped together in an intricate sterling silver herringbone weave. • The Peruvian blue opal rondelles are 8mm x 6mm. 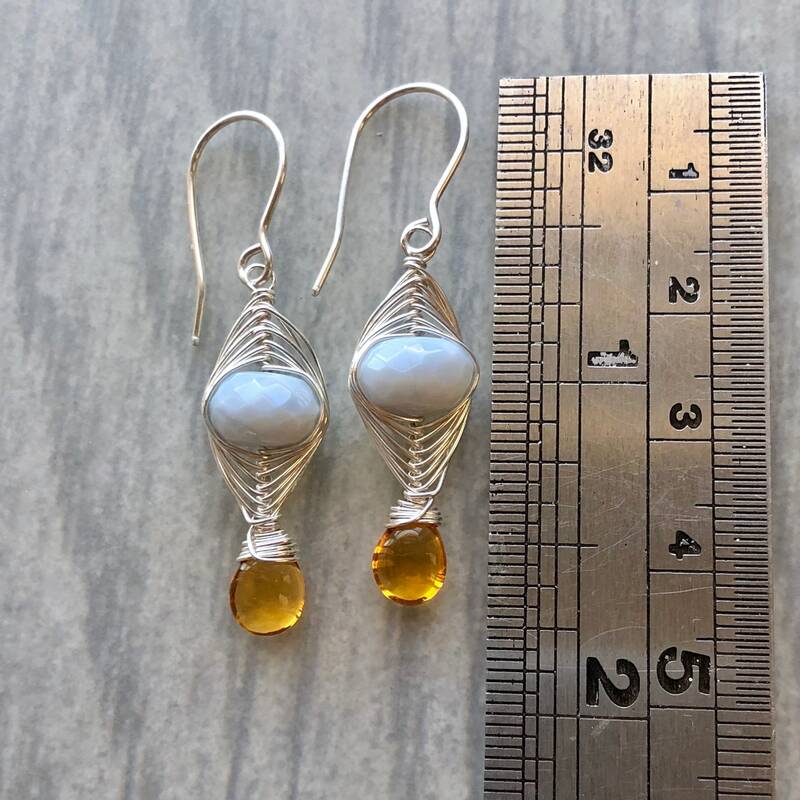 • The citrine briolettes are 6mm x 8mm. • These earrings have been made with 925 (sterling) argentium silver, which resists tarnish.